Last night’s dinner at Chima was amazing. I am sure my cholesterol is off the charts but my stomach is happy. Their drink special for the evening was the Caipirinha which is amazing. 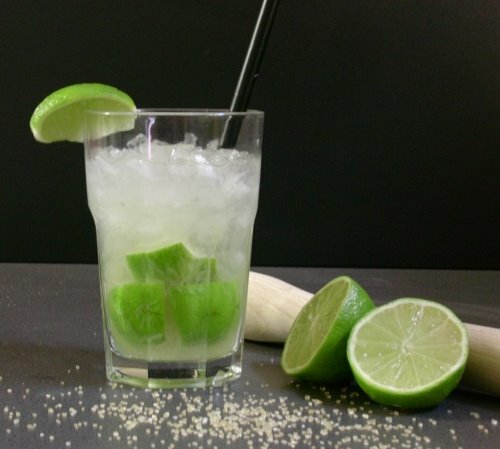 It contains Cachaca (Brazilian alcohol made from sugar cane), limes, sugar and ice.The perfect summer drink as the alcohol has a light flavor so it seems like you are enjoying homemade limeaid. You can find Caipirinha kits, which include pre pre-mixed lime and sugar and Cachaca, at Oscar’s Liquor on Terrell Mill Road in Marietta. That area is heavily Brazilian so it is easy to find. At $17.99 a kit, it is worth trying. Chima’s service was as wonderful as the food was and we actually let them know that on the comment card. Lucky for us, under the comment card was another coupon for buy one dinner get one free. On tap for this weekend: The Atlanta Brewing Company(ABC) and Kat’s Cafe. This will be my first time attending the ABC friday night event. $7 gets you all the beer you can drink and tunes from a live band. Tonights band is the Linsdey Rickers Band. I have heard their lead sing before at an impromtu session in her own home and her voice is amazing. This will be their last show before going into the studio to record so try and make it if you can. On Saturday I will be making my way back to Kat’s Cafe. Live music, friendly atmosphere and good drinks are promised. They do not have a webpage yet but search them on MySpace and read all about it! that icy cold bev makes my mouth water! A few months and you will be able to enjoy one too.